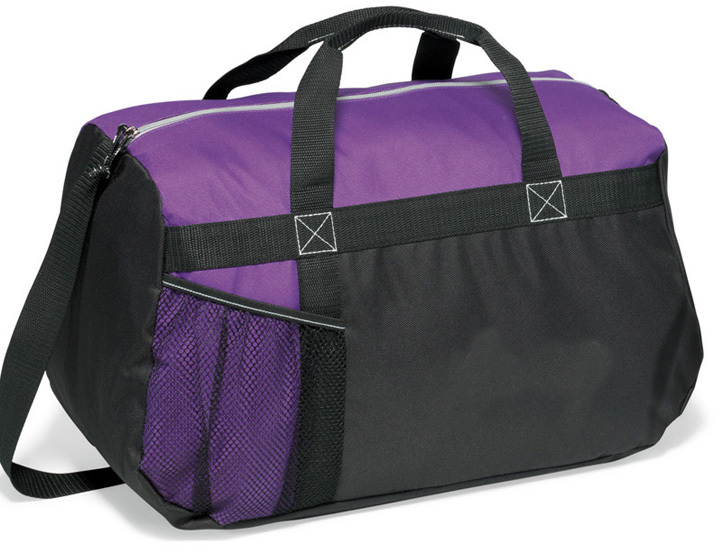 The Sequel sport duffle bag is constructed from 600D polyester material. 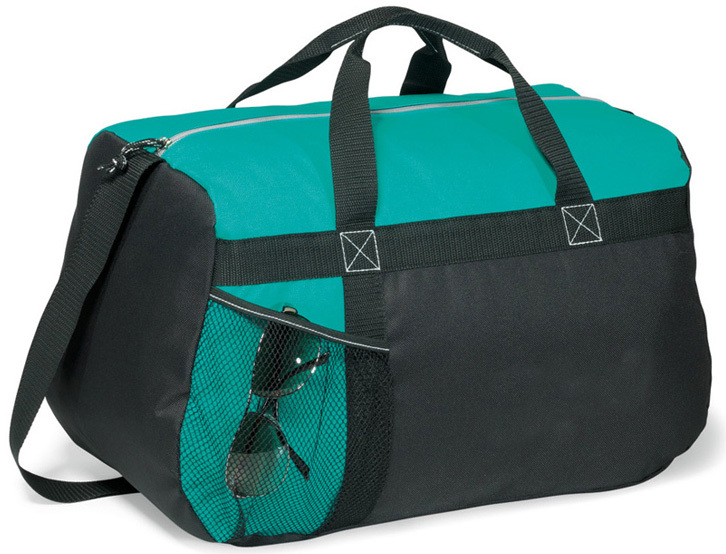 The colors pop yet practical to match your team color, ideal for light travel or workouts at the gym. 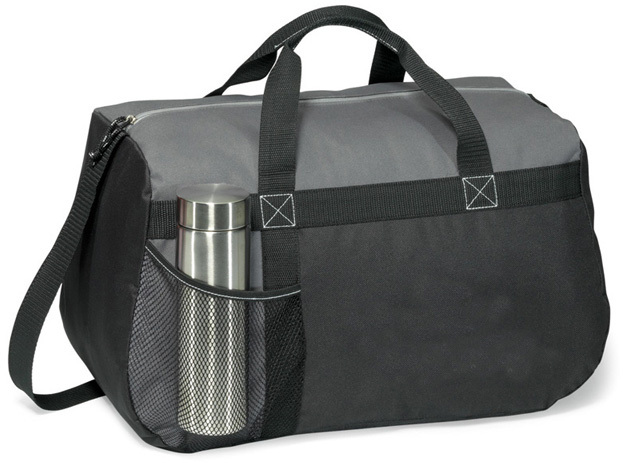 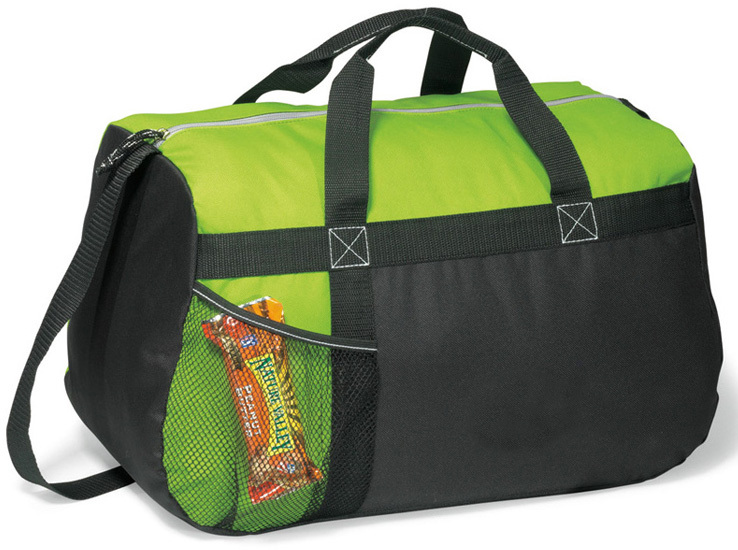 Features a main compartment to haul your sports gear, uniform or workout clothes with a cord pull zippered closure. 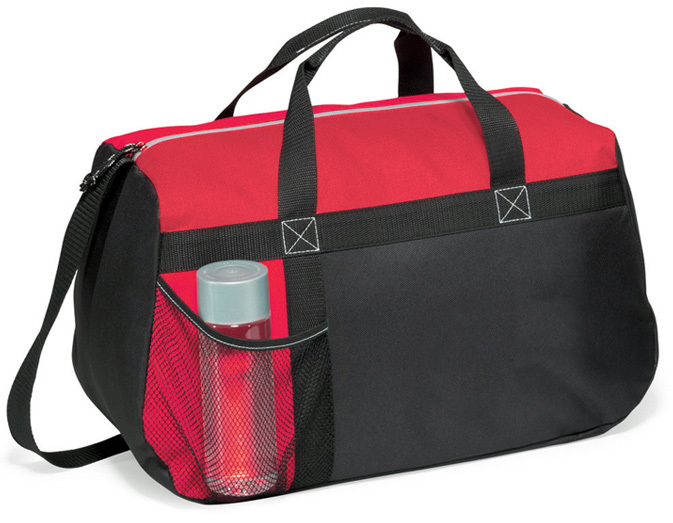 To stay hydrated there's a mesh water bottle pocket on the front to transport your favorite beverage such as sports drinks or water. 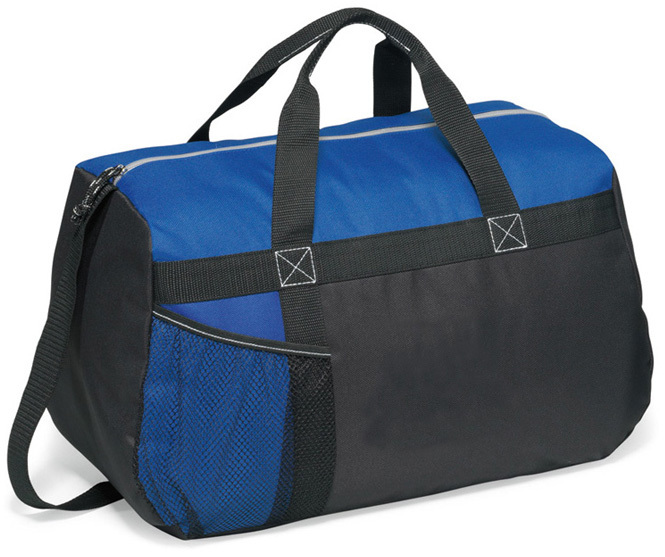 Carry your duffle by the dual handles or shoulder strap. 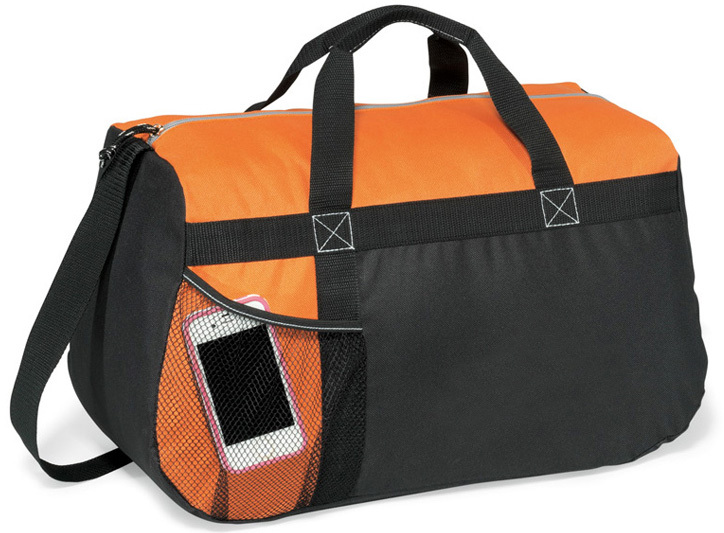 If you're looking to replace your old worn one or buying one for the first time, this piece is for you!